Since February 2014, the SIAT Group, a consortium of companies specialized in plantation management and industrial transformation engineering in tropical regions has entrusted Sonema for the provision of its VSAT connections, offering their teams high quality, high availability Internet access. The network established for SIAT Group was custom designed according to the specific requirements of each of the isolated sites where they operate, as terrestrial links are generally unreliable and cannot be guaranteed. This network spans over twelve countries where SIAT operates, including Nigeria, Ghana, Ivory Coast and Gabon. Today SIAT has renewed their faith in Sonema’s expertise. “Rural connectivity needs have increased tremendously in the past few years. It was important to be able to rely on a trusted, available and responsive partner. In the past we used VSAT service providers based in Africa who did not fulfill their commitments, with disastrous results. We have therefore chosen to keep our equipment and entrusted Sonema with the maintenance and Internet bandwidth provisioning. The migration of our twelve sites was remarkably well carried out, with true project management and monitoring. 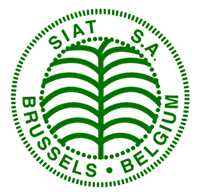 After two years of satisfaction I can heartily recommend this operator,” said Nicolas Borckmans, IT Manager of SIAT Group. “Sonema is very pleased to continue working with SIAT, who have been with us since 2014 and who are located in many of our countries of operation,” said Frédéric Amégée, sales manager for the SIAT Group. For more information about SIAT Group, please visit http://www.siat-group.com.